In somewhere previous post, I did share with our lovely dollies about Selena Gomez’s makeup collection. It seems that I’ve not stopped being interested and eager how gorgeous she is under spotlight. Then, I try to dig up more fascinating things behind ageless, alluring appearance of the “Love You Like A Love Song” singer. The post this time is to explore all of her favorite skincare products. Selena Gomez has openly brought us her nostalgic story about how her grandma and mother inspired her in skincare. All might come to Olay products that the star’s nanna took for routine in the late 50s and then, gave to her mom when hitting 21 years old. Selena has always cherished her mom’s moist, elegant skin. 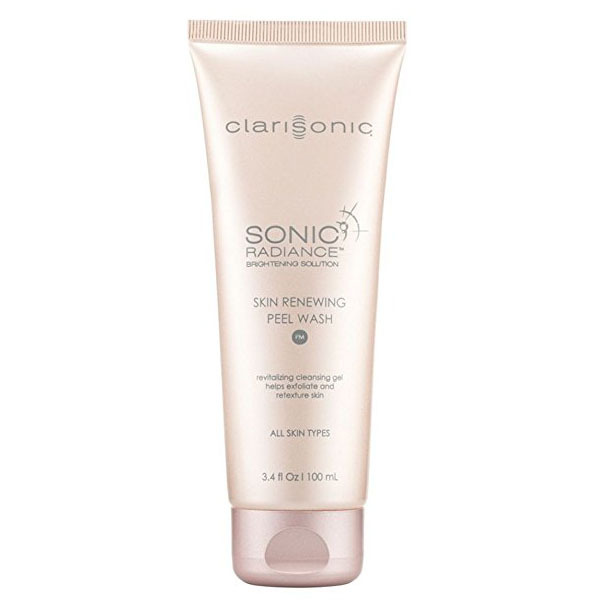 For morning regimen, The 25-year-old singer loves to cleanse her face with the Clarisonic – Skin Renewing Peel Wash. That would be four to five times per week. The product has gel base and provide the skin exfoliation for a smooth, brightening texture. We know that Selena would be inevitably exhausted by tons of work. 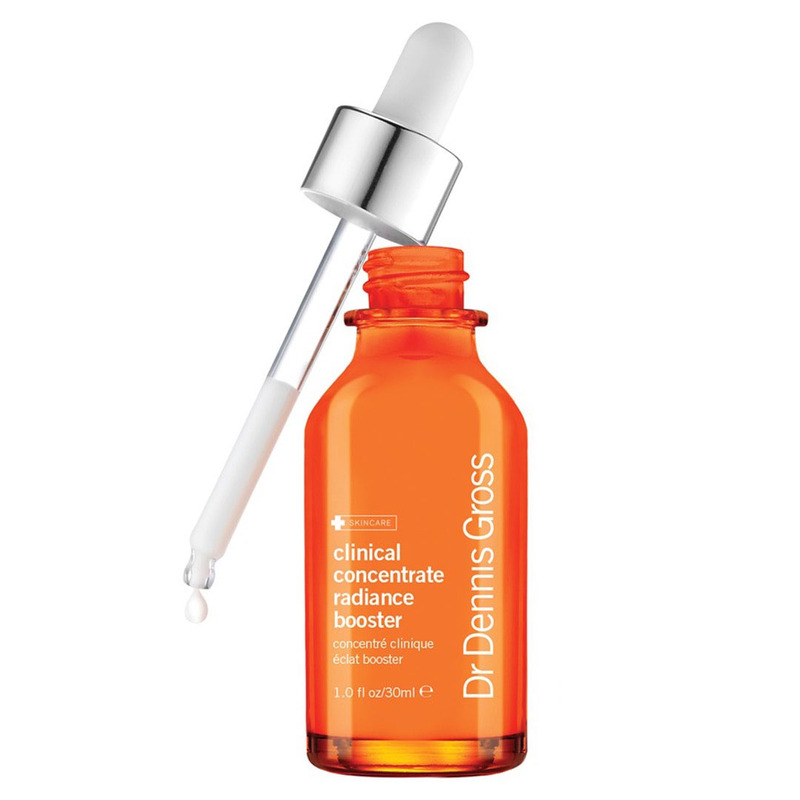 So, the perfect rescuer that brings about her lively, pleasant look is the Clinical Concentrate Radiance Booster of Dr. Dennis Gross Skincare. It tends to gently get rid of dead cells and debris on skin surface with antioxidants. Prevent bacteria breeding that leads to breakouts and also, leave a dewy, ageless look. The Wizards of Waverly Place actress was excited to honestly talk about her beauty secret to get away from dark circles. Here is the Eye Duty Triple Remedy of First Aid Beauty. 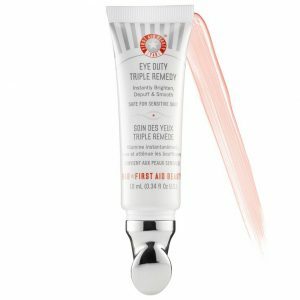 The cream will provide an adequate coverage to diminish dark circles and puffiness under eyes. Moreover, its’ age-defying formula tends to smooth out fine lines and wrinkles and lighten skin around her eyes. Last but not least, Selena Gomez would like to accomplish with Bioré Skincare – Deep Cleansing Pore Strips. 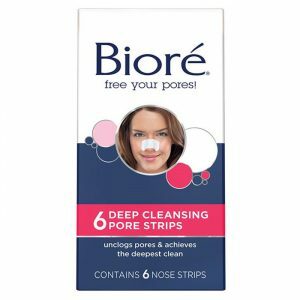 It brings about the deepest clean by instantly locking onto and pulling out deep-down dirt, oil and blackheads. That’s it. Thank you so much for spending time with us. Please feel free to comment and share our post. If you have any advice or ideas about this, I loves to know your thoughts.